I had such nice feedback on my Valentine's Day Edition of Making Words and Sentences freebie that I decided to check out all the observances, holidays, and events in March. I couldn't believe the list I found! Did you know that March 1st is National Pig Day? How about National Potato Chip Day on March 14th? Here is a list of the observances I came up with for March. 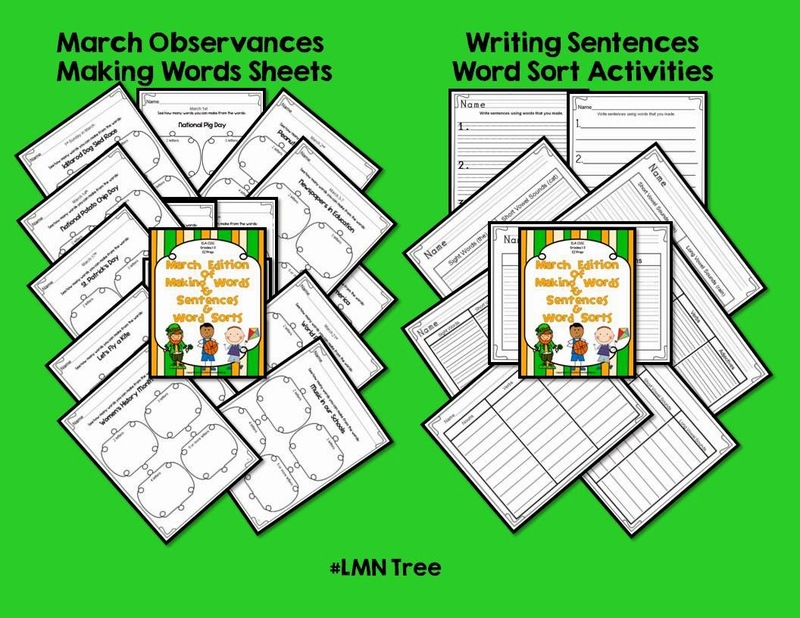 So I put them all together in one packet called, "March Edition of Making Words and Sentences and Word Sorts". I added Word Sorts where students would sort the words they made into different categories. These would be great to use for contests, pair work, morning work, extra practice with sentence writing and grammar, or center activities. Here is the preview of the packet which you can access by clicking on the picture below. For 1st grades they can sort words into Sight Words and Short Vowel Sound Words. There are also word sorts for Short Vowel Sounds and Long Vowel Sounds and Singular and Plural Nouns. When I came across "Popcorn Lover's Day" I had to include it. Why not include making popcorn with Making Words and Sentences. You might also be interested in my "It's Popcorn Time" Packet for K-1 which you can access my clicking on the picture below. Of course I have a freebie for all of my followers and viewers. It includes instructions, Making Words and Sentences for "Catch a Leprechaun" and Sentence Writing Pages. 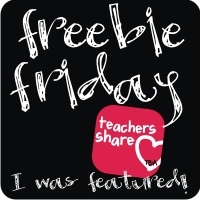 Just click on the picture below to download your freebie. Hope you and your students enjoy! Thanks for all you do to make a difference for your students. March is just around the corner! Love the bright colors of your blog! It is so cheery when it is below zero here in WI. I am visiting you from Manic Monday! Oh, I really like your blog design!!! So attractive. Thanks for a great post on March! Thanks for the list of events in March. We have no scheduled days off and although my kinders aren't testing, the big kids are. It is always fun to have something extra to talk about.